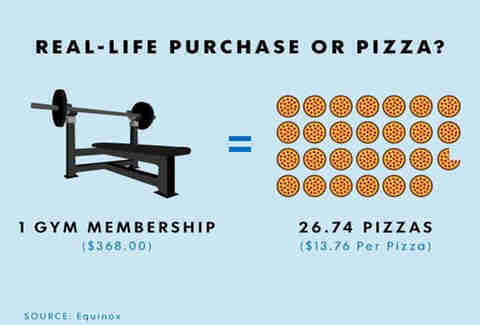 To join a gym? 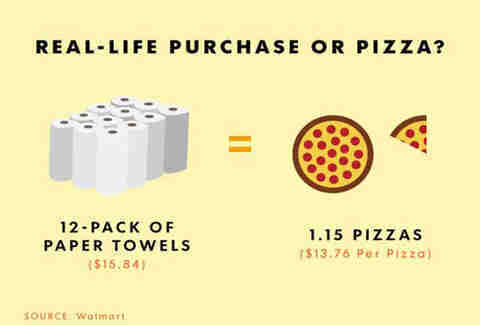 Or to order 27 pizzas? 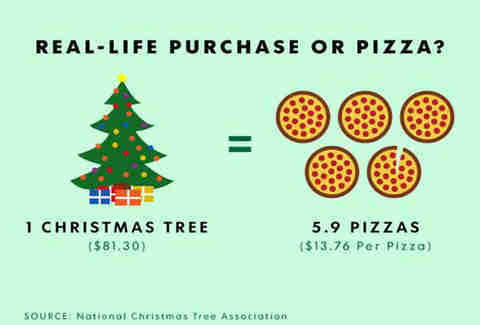 That, at least to USA TODAY (and many Americans, myself included), is the question. 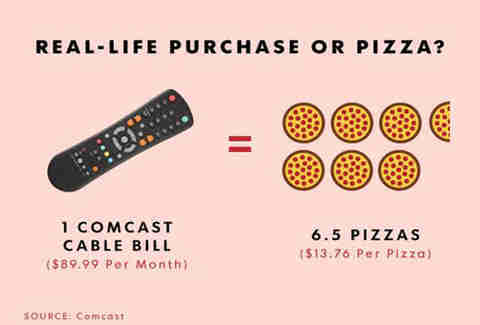 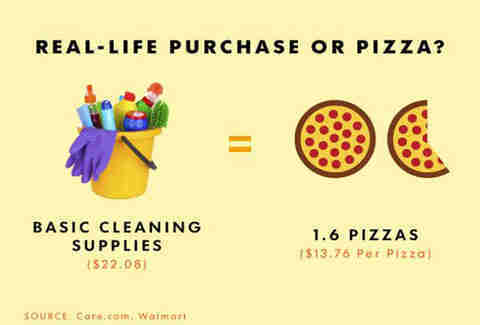 Fortunately, the folks over at the news site have whipped up a bunch of handy infographics depicting how much certain lifestyle purchases would cost, and their equivalents in delivery pizza. 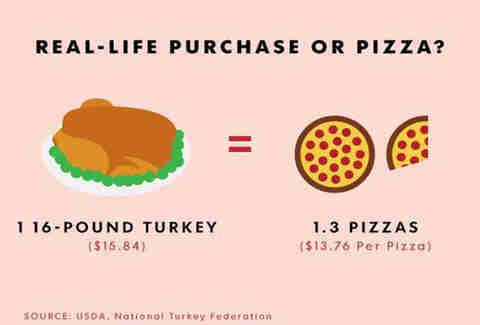 The cost per pizza was calculated by averaging the prices of a large, one-topping pie from Domino's, Pizza Hut, and Papa John's, while the other items' costs were determined by online shopping. 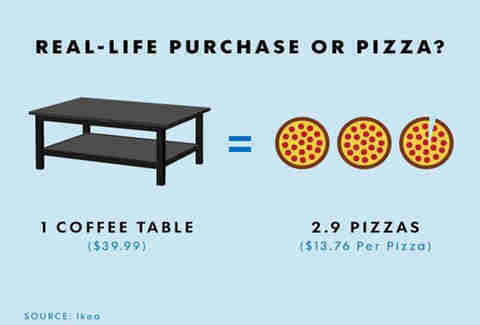 So... are you really hungry, or do you need a small coffee table? 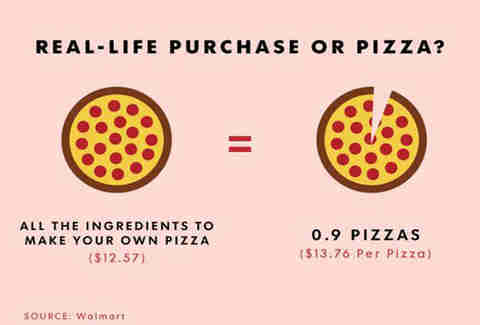 Perhaps the most telling one of all -- you can make a pizza from scratch for slightly less than it costs to order one from one of the three big delivery places. 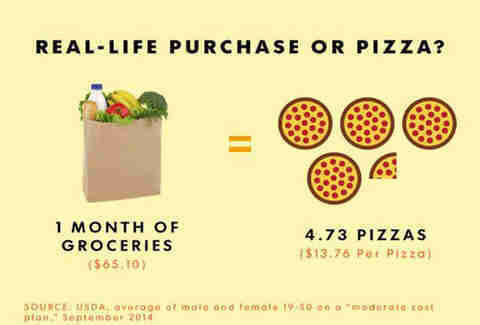 Curiously, DiGiorno is nowhere to be found on this chart. 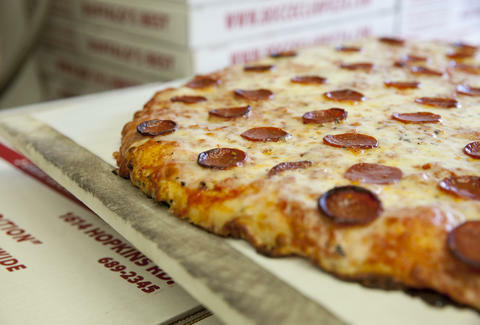 Adam Lapetina is a Food/Drink staff writer for Thrillist, and has already made up his mind about the gym membership. 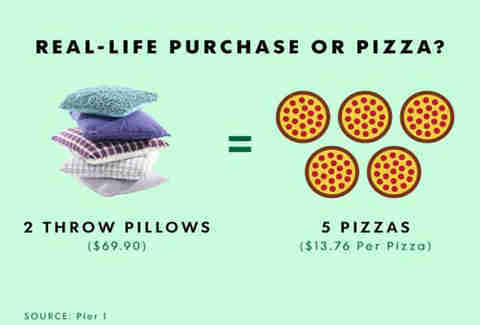 Read his musings at @adamlapetina.